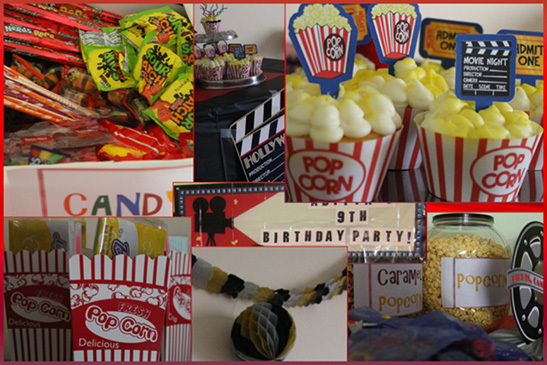 After reading through many blogs and Pinterest ideas, I threw my very own movie themed birthday party to celebrate my son's 9th Birthday! 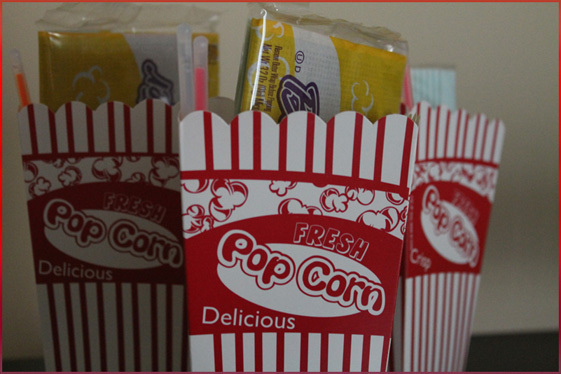 For someone who loves movies, this is a fun idea, especially if the highlight of the party is popcorn, cake and lots of concession style candy! We started planning by picking a date that was a weekend and worked for everyone in the family. We decided to watch the movie "Super Buddies" because it was good for everyone his age and was not gender specific. We invited 10 friends from school and the neighborhood. My son and I had so much fun working on the invite and I am proud of how it turned out! The night before the party, I baked chocolate and vanilla cupcakes. I used a printable template I found on a cool blog to make the cupcake liners. I iced them so that they looked like popcorn. I used the yellow Color Mist Food Color Spray to give it a nice buttery effect. On the day of the party, I decorated the room with balloons and decorations from the local party supply store. I tried to keep things red, white and black to stick with the general color scheme. I popped the butter popcorn and made some caramel popcorn too. It gave my home a nice "movie theater" smell. I set out the candy on a tray and we were all set to welcome the guests! Once all the kids were in, we started the movie. The kids got to pick their favorite candy, a drink, and popcorn in a popcorn bag so that they had something to munch on while they were watching. The movie was loved by all which is not a surprise because who can resist puppies with super powers?? Once the movie was over, we sang "Happy Birthday" and ate cupcakes. 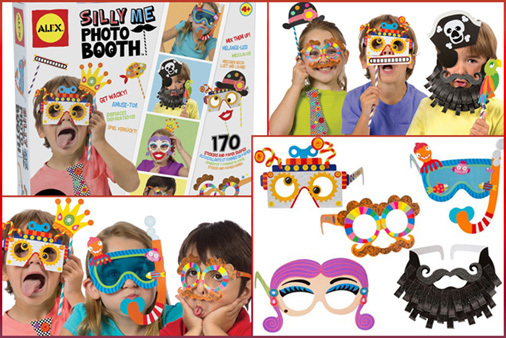 We ended the party with funny photo booth pictures with interesting accessories from Alex Toys. The kids had such a good time with the glasses, lips, ties, hats and mustaches, and the giggles were uncontrollable. Everyone went home with a popcorn box with a microwavable bag of popcorn. There were glow sticks, a rainbow colored lollypop and other knickknacks in the box too. The day could not have been more perfect! Please do not hesitate to comment or email me if you would like to host a similar party and need specific recipes, instructions or detailed ideas. 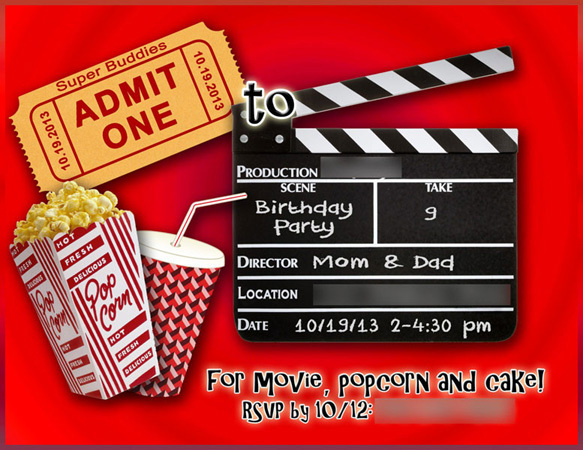 If you have hosted a movie themed party and want to share something fun and exciting, I'd love to hear about it too!